I want to make the rāmen noodles from scratch including the pasta itself and not just the sauce. I have found some recipes online that look promising. However, how can I give it the characteristic "curly" appearance? Inspired by Claire and the Bon Apettit team I did a bit of research and found the following. 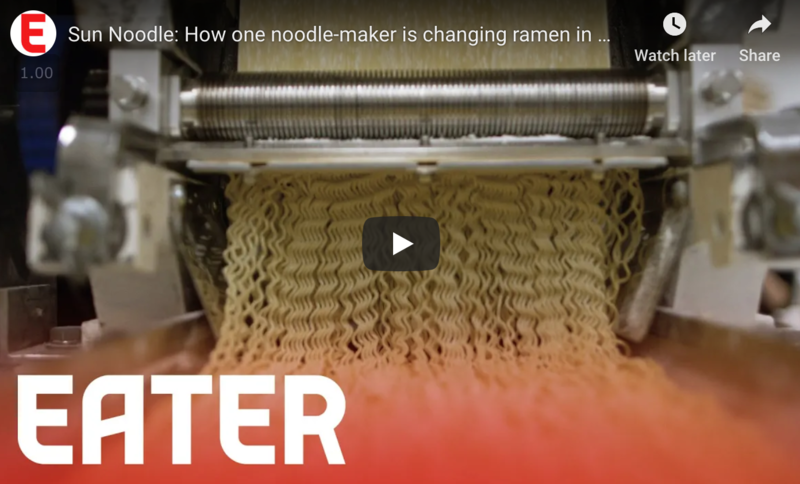 Silicon flaps attached to the noodle cutter is one way to get the curly or wavy ramen noodle. You can create your own version like Alex the French Cooking Guy did. Which result in a nice curly noodle. Full write up with the links to the videos and timecodes etc here. 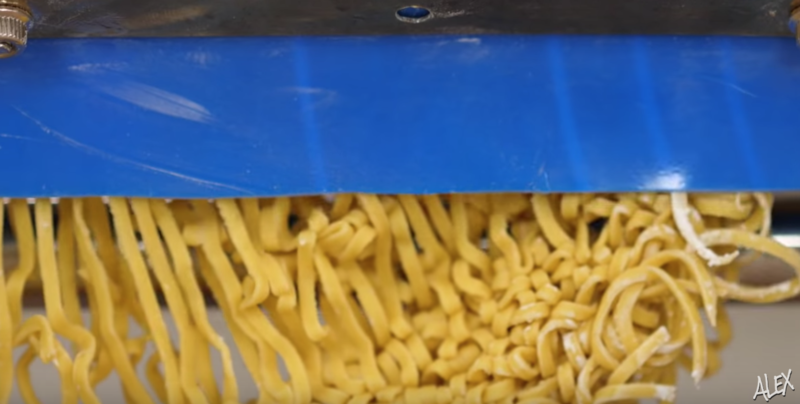 Roll out the pasta, then do a bit of a accordion fold / pleating sort of drape of it before slicing it into individual noodles. (if you pleat it at an angle, you might be able to get it even more curly). 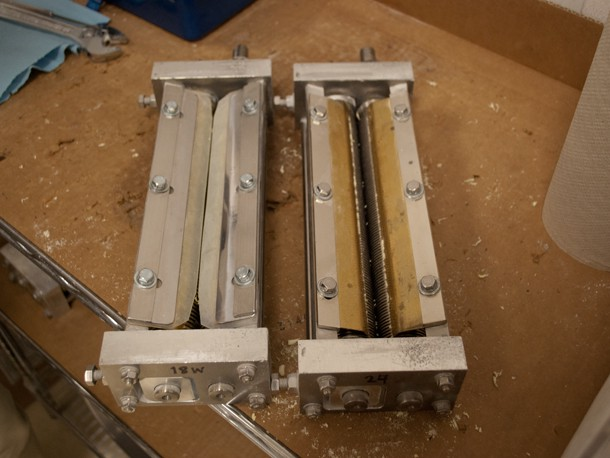 Of course, this means you can't use the pasta cutter on a roller. Cut the pasta, then dry it on an irregular surface (find a few dowels of appropriate size or similar items (eg, wooden spoon handles), space them apart an inch or two, then lightly drape the noodles onto the surface). Do fresh ramen noodles come in a curly form, or only instant? Where can I find (plain) Ramen noodles?